Emotional Support Squirrel A No-Go On Frontier Flight A woman who tried to fly to Ohio from Orlando with her rodent companion ultimately agreed to exit after the other passengers were required to deplane and police were called. She boarded her Cleveland-bound Frontier Airlines flight toting a cage containing the furry occupant. She did her due diligence by noting on her reservation that she would be bringing an emotional support animal, Frontier said in a statement. She even had the animal cleared by TSA. She just failed to notify the airline that her companion was a squirrel. Once onboard, the woman was told that squirrels are rodents — and rodents are not welcome. (So don't get any ideas, proud hamster, rat and mouse owners). The woman refused to get off the flight, Frontier said, and Orlando police stepped in. "Everyone was deplaned so police could deal with the passenger," Frontier said. An Orlando Police Department spokesman said the woman got off the plane once officers arrived, so no further action was taken. Video recorded at the terminal shows the woman defiantly departing accompanied by police as she grips her squirrel's cage. "Yeah, here's the crazy lady," she shouts, as other passengers jeer. She then raises her fist, middle finger extended, and yells "Shut up" as bystanders applaud and hold up their phones to record the incident. Somebody can be heard yelling "Damn squirrel" as she exits. Federal rules say a "wide variety of service animals are permitted in the cabin portion of the aircraft," but airlines are given leeway to set their own policies. And airlines say they have been compelled to do so. Other airlines also have been cracking down, including United, Delta and American Airlines, which earlier this year tightened their rules, including requiring behavior training for the animals. Delta said it "carries approximately 700 service or support animals daily — nearly 250,000 annually. ... Customers have attempted to fly with comfort turkeys, gliding possums known as sugar gliders, snakes, spiders and more." In a well-publicized incident in January, a woman tried (and failed) to bring her emotional support peacock aboard her United flight. Exotic animal exploits aside, NPR's David Schaper reported, emotional support animals can address very real problems as some passengers "with severe anxiety, phobias, PTSD or other disabilities cannot travel without them." But Schaper quotes United as saying it has seen a 75 percent year-over-year increase in the number of customers bringing emotional support animals onboard. "The airline also has experienced a significant increase in onboard incidents involving these animals, including biting, aggression, urination, defecation, allergic reactions, conflict and other disruptions," he reports. Back in Orlando, passengers were allowed back onboard after the woman and squirrel were removed. 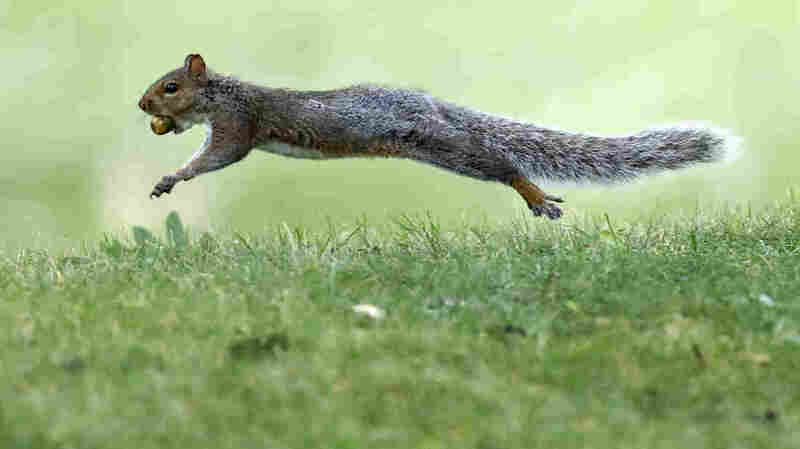 The flight was delayed by two hours, according to News 5 Cleveland, but still some passengers seemed amused rather than aggravated by the incident and were looking forward to seeing it squirreled away on social media.